The Whitchurch-Stouffville Museum & Community Centre is nestled in a serene park setting. 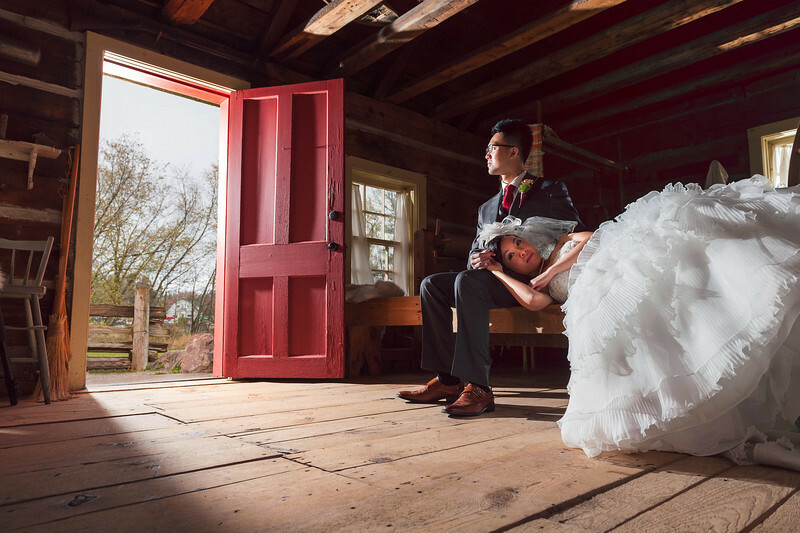 By booking with us, you will be able to take some or all of your photos on our property with the beautiful heritage buildings serving as your backdrop. Historic buildings on site include the Bogarttown Schoolhouse (1857), the Vandorf Public Schoolhouse (1870), the Pioneer era Log Cabin (c.1850), a Victorian Farmhouse (1857) and an historic Barn. Have your wedding ceremony and/or reception in our brand new rental space and benefit from all the amenities of a modern day facility. 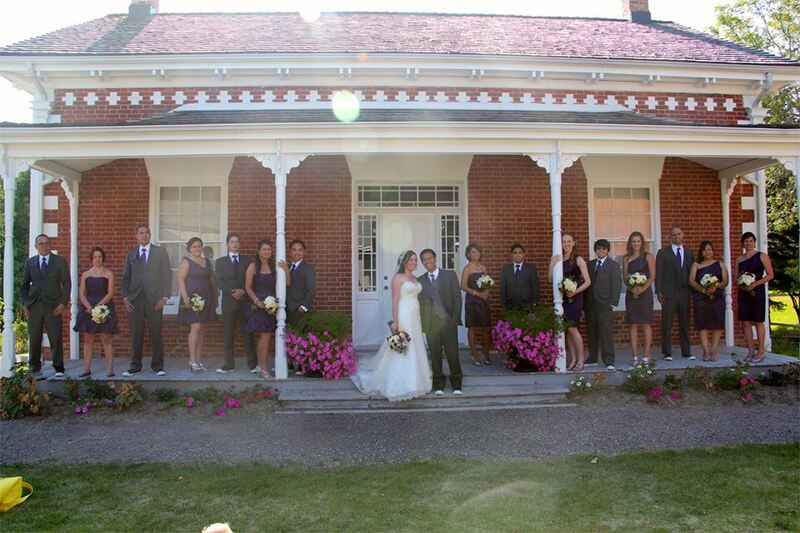 Outdoor ceremonies and/or receptions can be arranged. 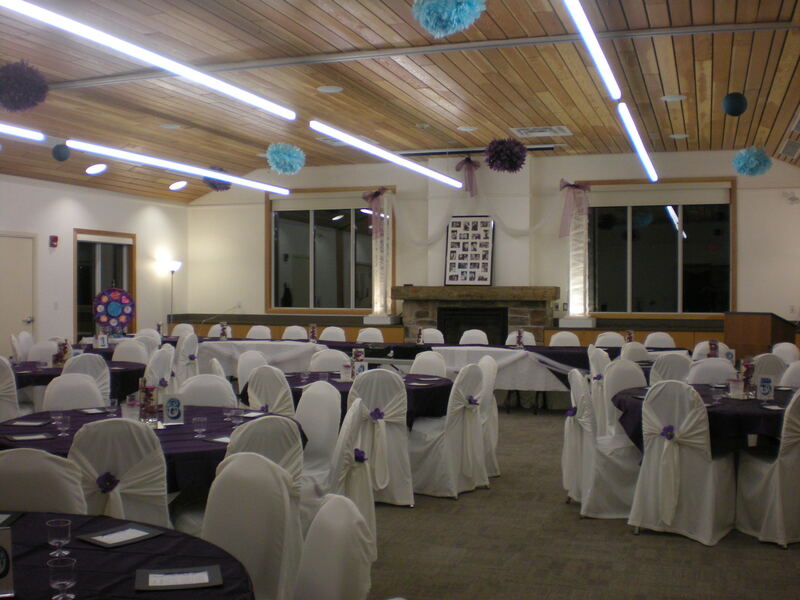 Our Main Hall can accommodate 100 people seated at tables for a reception. 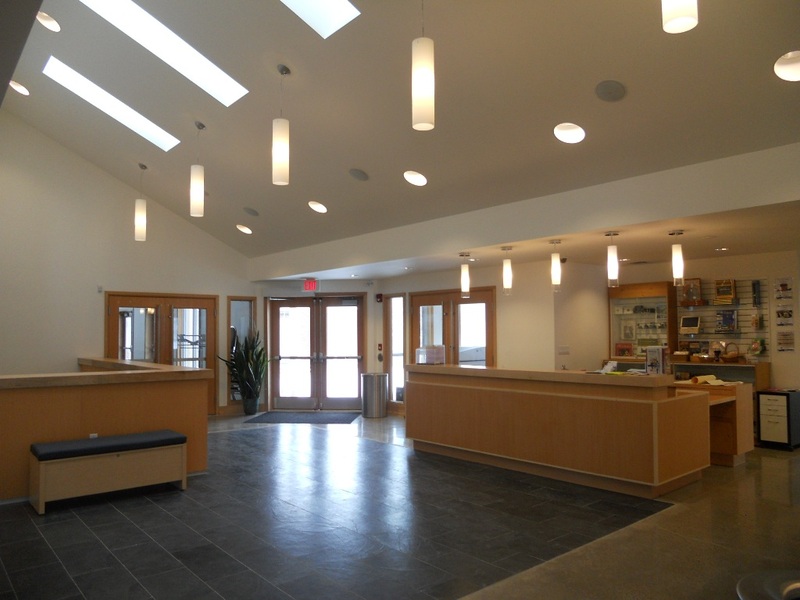 The Hall is spacious with lots of natural light and a gas fireplace. The fireplace has been set between counters on each side which is ideal for a buffet style reception. The counter tops can also be used to showcase décor and/or photos. The Hall has a built in projector screen and sound system. Microphone and podium are also available. A bridal Suite can be arranged on request. With a Main Hall booking, the outdoor ceremony site is included. 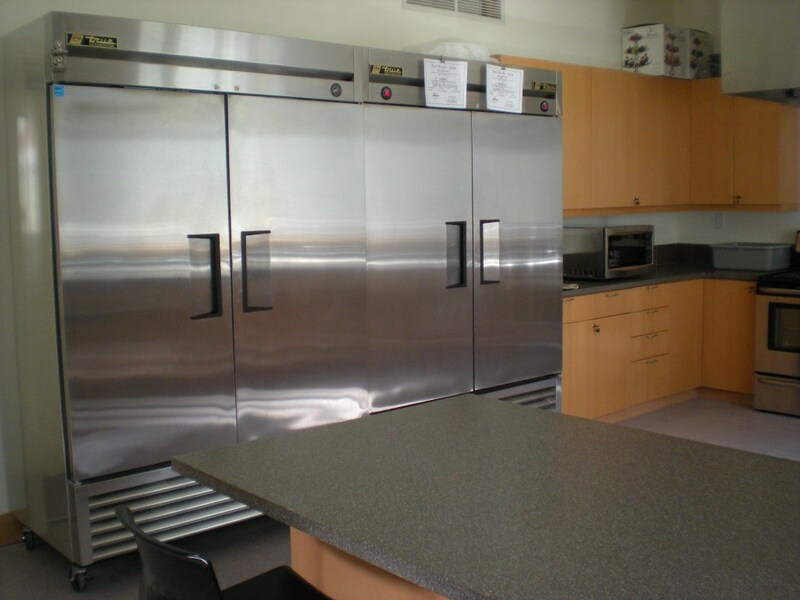 With your booking, you will have direct access to a fully equipped kitchen constructed with caterers in mind. The kitchen houses 3 industrial refrigerators, 1 industrial freezer, 2 stoves, a triple sink, an industrial dishwasher, plenty of counter space and an additional warming kitchen with a hot box. There is ample parking on site to accommodate all of your guests. All washrooms are accessible. The staff at the Whitchurch-Stouffville Museum & CC will work with you every step of the way during the planning process of this special event! We look forward to being a part of your intimate wedding! 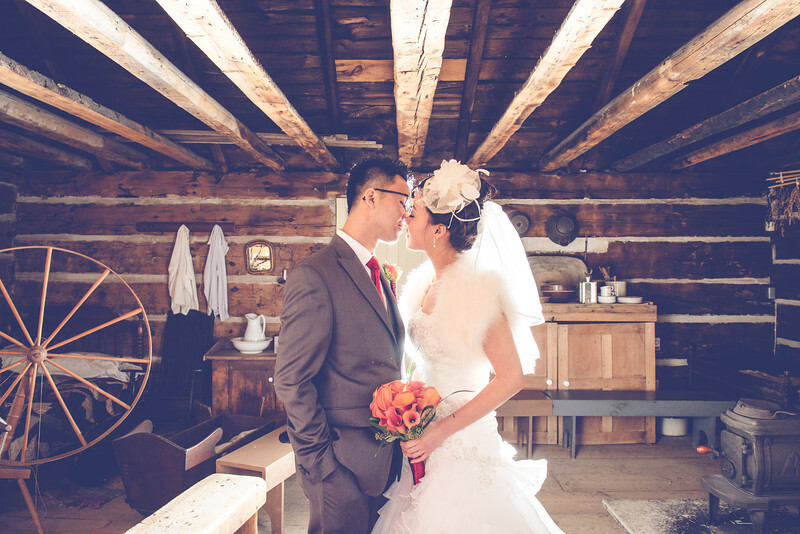 Your ceremony can take place in our courtyard in front of the beautiful red brick Victorian Farmhouse, the Log Cabin, the Barn, or inside our Main Hall. Chairs are supplied and set-up as per your needs. Rain plans can be discussed if you choose to go with an outdoor ceremony. 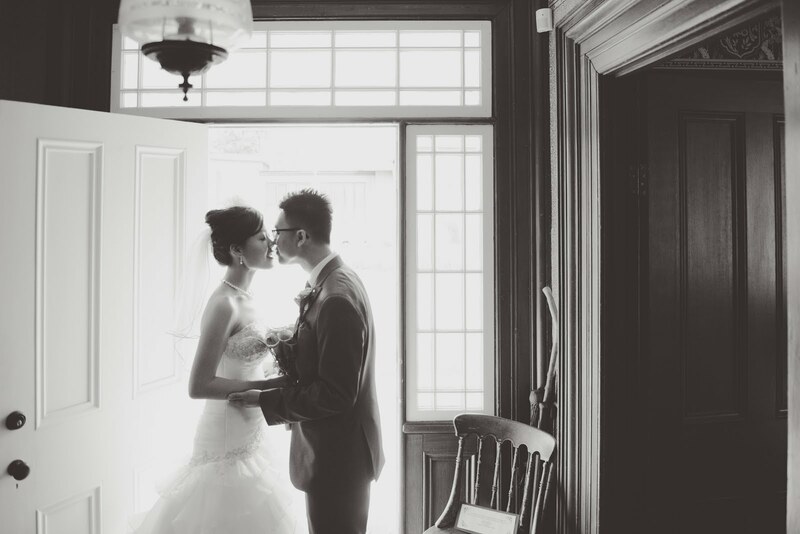 Our versatile venue can accommodate your wedding ceremony and reception to suit your desires.